On the historic field of San Rocco Castagnaretta, the female Cuneo ends its first A2 series championship against Tradate Abbiate, with a brilliant victory for 6 at 3. 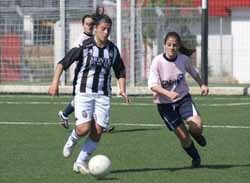 The girls of President Calvetti thus close a very demanding season, also due to the inexperience in the category of a good part of the team, but at the same time rewarding. 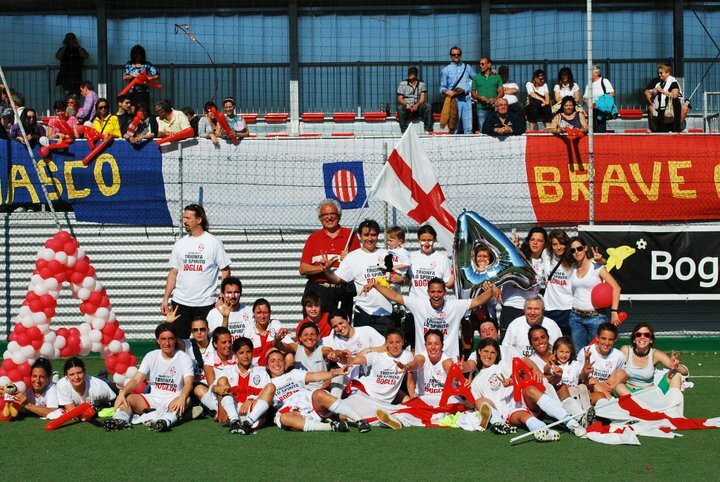 At the beginning of the championship the biancorossa leadership had set the goal of salvation so that the girls could gain experience and then, next season, play a more ambitious championship. The president Calvetti: "the final result this season has gone beyond the best expectations and if we had more continuity of results now we would comment on an amazing year, however we are satisfied with the seventh place finish, considering that only two seasons ago we played the series C regional championship. 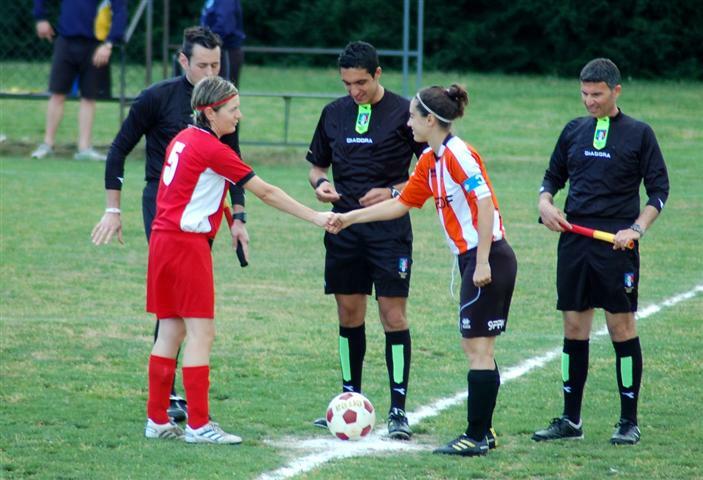 For the next season, if we can find some new sponsor that will give us a hand, we would like to set up a competitive team that can fight on equal terms with all the other teams to bring up, even in women's football , the name of the city of Cuneo ". Before the kick-off, the Cuneesi wanted to pay tribute, with a bunch of flowers, to the soccer game played by Valeria Giordano, since, after many seasons spent on turf, decided to hang the boots on the nail. But will it be true? Valeria today seems certain, but the hope of the whole society is that of an afterthought because it could play at least two more seasons at high levels and "with those feet" it is a pity not to see her fight every ball with the enthusiasm of a girl; has closed his brilliant career to the great, as always, also achieving a goal, thus leaving the mark even in the last game among the professionals. The first time between the two teams, was not exciting, played with low rhythms from the last day of school, with a slight dominance of Cuneo. At 31 'Cobelli, with a perfect change of game "fishing" in the middle of the Sechi area and the captain with a delicious lob, he overtook Di Bernardo; at 35 'Tradate grabs the draw on a cross from the right of Tagini that Bruno, left guilty alone, reiterates in the network. In the second half at the 4 'the Cuneo returns with a cross from the left of Sechi that Allena heads to the bottom of the bag; the white and red exterior is unleashed and shortly after it releases the double marking and then let go a cross shot that "sticks" in the far corner. The Lombards are not there and with the expert Marsico still shorten the distances exploiting an opponent's defensive error. At the 18 'the red and white are still dangerous with a thirty meter launch of Testa per Sechi, but the conclusion is printed on the outside of the network; just passes 1 'and De Paoli is mowed in the full penalty area: Mr. Honey without hesitation concedes the penalty and the warning to Orlandi. Giordano on the spot that kicks nell'angolino on the right of the door defended by Groni that despite the intuition can not avoid the goal. At half an hour a free kick from the midfield of Curioso, is reiterated in the network by Marchisio, who after the serious injury suffered last season, is back to the goal. Shortly after half an hour a defensive error allows Marsico to achieve the third goal for the Tradate; at the end on corner of Curioso, Cobelli inserts the definitive 6 to 3 from behind and with a tapin. In the league Milan beat Como for 1 to 0 and reached the formation of Lariano at the top of the standings. To know the name of the training, which will win the championship of A2, it will then be necessary to wait for the outcome of the playoff scheduled for next week. 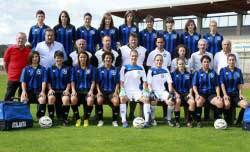 The last round of the championship is fatal for the female Atalanta of Mr. Michele Zonca, who at the conclusion of a game conducted for eighty minutes undergoes three goals in the photo finish by a good Oristano. The Sardinian team was the protagonist of a really super round group: there were only three punticini remedied by Concas girls in the first leg, while today (yesterday, ed) at the triple whistle the guests celebrated the fifth place in the standings. For the orobiche is a defeat that leaves the time it finds: the result of this match, crossed to any other outcome from the other fields would not in any case compromise the fourth position in the ranking. The first fraction is of local brand. The Carpisa Yamamay in Francavilla to confirm the second place. 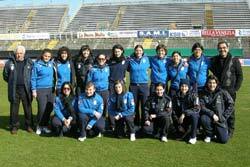 Last game away from home for "le tartarughine"
Last round of the championship for the Carpisa Yamamay Napoli of women's football. The team coached by Peppe Marino will play Sunday at the 15 in Francavilla Fontana with the aim of confirming the second place in the standings. The Riviera di Romagna, in fact, winning last Sunday won the math promotion in A1 series and Sunday will be in the field in Pordenone against the third in the standings, back from three rounds without wins. The Friuli team will want to end the season with a flourish and for the Neapolitans it becomes mandatory to win to confirm the second strength of the championship. A positive result, moreover, would lead to thirteen consecutive useful results, a real record considering also that, from January to today, the team has won 11 of the 12 matches played. At the disposal of the technician there will be the full squad, with the exception of the captain Esposito, disqualified for fourth 4 admonition, the choices will be made just before the race. "A difficult race, that of Francavilla - says the coach Peppe Marino - but that we will face with the back of the second round. We want to close in beauty and then wait with confidence for a possible repechage. " Basaluzzo (AL). Como 2000 meets Alessandria in the penultimate day of Serie A A2 series A. Afternoon warm, ground in good condition, 115 spectators. After a start of the study race, the 16 'Larians are the ones to go to the first real thrust of the race. A difficult trip to Siena that on Sunday in Bari has faced Pink in the race for mathematics salvation. A sultry heat has welcomed the Sienese still unaccustomed to this climate. The start of the race was however definitely favorable for the really gritty bianconere and looking for the three points. At 13 'captain Fambrini alone in front of the goalkeeper tries a volley but does not find the door. Really unfortunate Fambrini that on this occasion feels a strong pain in the thigh and is forced to leave the field after only a few minutes from the beginning. 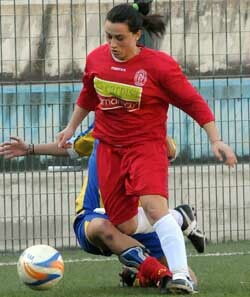 Another defeat for the ENODORO MARSALA women's football that runs out of the home games of this "damned" 2010.2011. Opposed to the Brindisi area of ​​Francavilla Fontana, ENODORO has tried in every way to keep up with the most highly-regarded opponents, but the absence of Montalbano, the precarious physical conditions of Anteri and Mustacchia, and with some athletes with their heads elsewhere, they made the business almost impossible. Batting 3-0 IL Pordenone, overtaken in the standings, the "tartarughine" win the second place after a rebound duration 5 months. 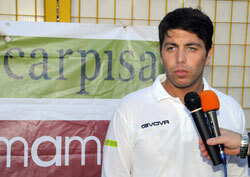 Great success for Carpisa Yamamay Napoli, who beat Pordenone at home (3-0). Overwhelming victory, obtained thanks to two goals by the striker Valeria Pirone and the third seal scored by Rossella Vitale with a splendid shot from outside the box that has been bagged in the "seven". The Neapolitans are still unbeaten in the 2011 and with this victory rise to second place in the standings one round from the end of the season. Atalanta, Vince, convinces and spreads! Vince, convinces and spreads the Atalanta Feminine against Juventus, trimming to the unfortunate opponents a passive that says a lot about the dynamics emerged from the field. The first fraction is a clear guest brand, but the advantage only comes to the 40 ', or when captain Scarpellini imbeces in the area the clever Giacinti for winning support. Cross full of Ramera and goes to rest in the locker room. After the break Juventus believes it, but Cavagna stands out with two amazing saves. Read more: Atalanta, Vince, convinces and spreads!